New Ways of Analyzing Variation 46 – Progress. Registration for NWAV46 is now open. Visit the Registration page using the navigation tool in the top right of this page. Registration closes Monday, October 16, 2017; after that you need to register on site. Also, note that some hotel accommodations’ blocks are released to the public before that October 16th deadline (some as early as October 1). Please plan accordingly. Looking forward to seeing you in Madison, WI, in November. 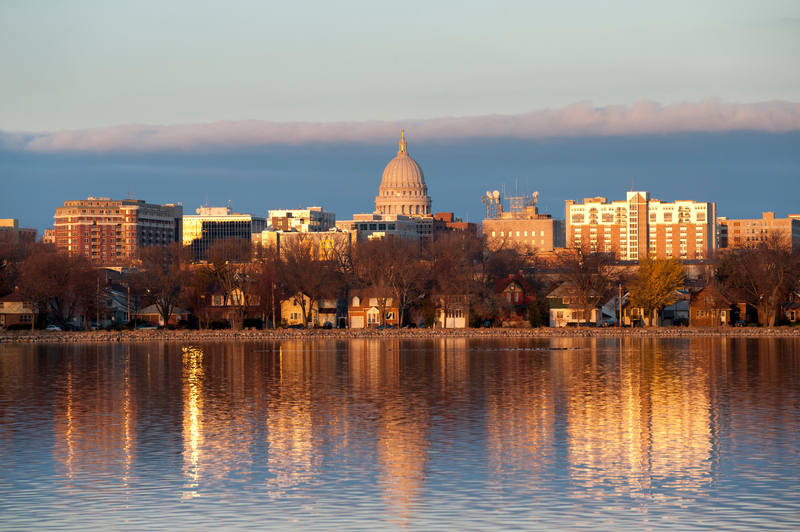 The University of Wisonsin-Madison and the city of Madison, WI, situated on an isthmus between Lake Mendota and Lake Monona, are host to the 46th NWAV conference on November 2nd to November 5th, 2017. Wisconsin had, up until recently, a reputation for being a hotbed of progressive ideas, and the concept of progress is appropriate for language variation and change in the state. While the direction of language variation and change cannot be predicted or considered to constitute progress per se, the field of linguistics generally and language variation and change specifically have made strides forward. Borrowing the idea from Robert La Follette, the theme of “Progress” was selected for 2017 because it can be both a call for progress, both in terms of how far we’ve come looking behind us and of the future directions in which we want to see the field move forward. The plenary speakers feature researchers who seek to further our understanding of the connection between past and future changes in language. Other highlights include eight workshops, two special sessions, an American Speech session, a talk by William Labov, a showing of Walt Wolfram’s new movie on African American English, and more (maybe even an event we’d like to call “bowling with the editors”). And don’t forget the t-shirts.